Some time ago when Cadillac looked at its average buyer’s age, it must have come as a shock. Circling around number 60 is not so desiring thing for the luxury badge, and Caddy started to look around until it stopped its gaze on BMW. Beemer has always been favorable with a younger-ish audience, between premium bunch, so GM’s opulent division had a benchmark toward which it can work for. Caddy chose BMW 3 Series as a role model, but not the current criticized F30 model, yet its glorious predecessor E90. While “blue propeller” driving appeal, which rose it to the stars, begin strongly to dissipate for some time now, Americans have managed in the mean time to deliver better BMW than BMW. 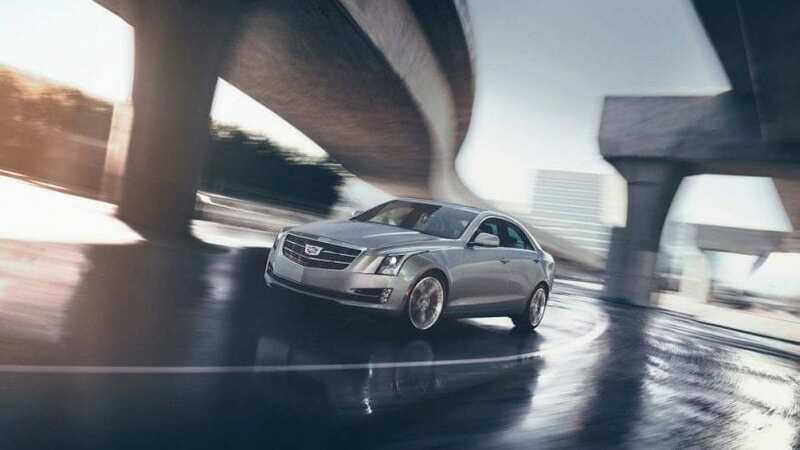 Entry level luxury sedan or ATS was introduced in 2012, and it instantly posed as a proper alternative to all those who couldn’t digest German trade off of driving enjoyment for luxury. Let’s see whether after some years on the market, does 2018 Cadillac ATS still pulls that alternative scheme in a proper manner. If you are into sports sedans, in full meaning of that name, ATS will melt you down. Chassis is sublime (also shared with overachieving Camaro), steering is deadly precise and highly informative about everything underneath while the grip is tremendous, especially if you go for “godly” magnetorheological dampers and LSD for the driven rear axle. In base form, this smallest Caddy comes with highly satisfying 2.0-liter turbocharged I4 which boost 272 hp and 295 lb-ft of torque, while pretty much all rivals leg behind by 20-30 hp in their initial offers, apart from Alfa. Acceleration time is at brisk 5.9 seconds and if you want more V6 is at disposal, cranking out pretty high (for the naturally aspirated mill) 335 hp and 285 lb-ft, which then reduces three tenths of a second when you try your run to 60 mph. Base engine could be paired with manual or 8-speed automatic, while V6 is only matched with later. ATS is a sharp looking thing. Very sharp. From all angles. It aged well, as that visual harshness does preserve some charming character. The cabin hasn’t been so resistant to the passage of time and instrument cluster especially looks ancient, though rest is still relatively pleasing to the eyes. Plus, fit and finish heavily trails all Germans, Lexus and Volvo and while CUE infotainment system featuring 8-inch and haptic feedback is improved from the initial point, but it still falls far short of any excellence. Touch sensitive dash maybe looked cool as an idea, but it doesn’t look cool at all for people using it, as you often repeat your maneuvers several times to reach the 2018 Cadillac ATSe desired action or you’ll sometimes provoke undesired one unwillingly. There are a couple of areas where this Caddy pretty much messed up, besides above-stated experience with the dash. Front seats are really comfortable and lavish, but rear bench is just too cramped even for this segment. Furthermore, the boot is absolutely miniature with 10 cu ft of cargo space, which is figure easily findable in two segments below and yes that would be subcompact city cars. At the end, respectable feelings about the engine lineup and power they boost are partially spoiled by fuel efficiency, which in the best case comes at 25 mpg combined, sitting at the bottom end of its class, though on the plus side going for V6 deducts just 1 mpg from mentioned figure. 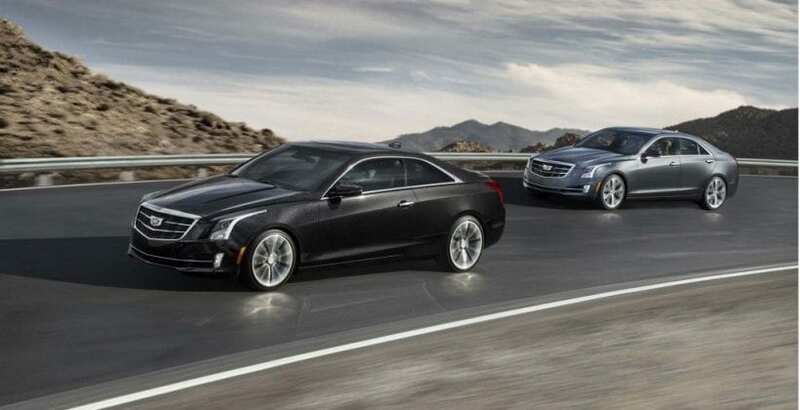 2018 Cadillac ATS is a rough diamond and it doesn’t try to conceal its shortcomings. If you go for a sport sedan, because of that sport part of the name, you won’t be disappointed, in fact, you’ll be thrilled. You will forgive all of its rough edges, every time it makes you smile, and it does that often. This car delivers joy at the relative expense of efficiency, build quality and space, so know why you would go for it over some more refined rivals.